Enter your email address below to receive a notification when The BJJ Box starts accepting new sign-ups! 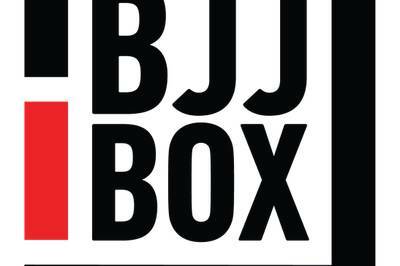 Enter your email address below to receive a notification when The BJJ Box is accepting new sign-ups again. Your box will ship by the 24th of every month. Please order by the 17th to get the current box. 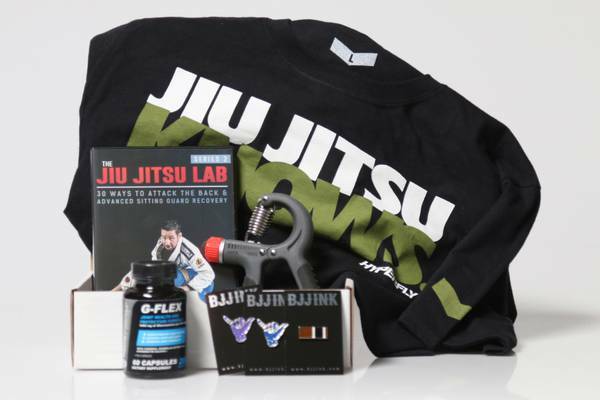 The BJJ Box is the best way to get awesome jiu-jitsu gear and apparel delivered straight to your door each and every month. Each box includes a featured apparel item along with things like DVDs, Finger Tape, Soap, Wipes, Pins, Supplements, Training Aids, and More! Delivery by the end of every month. 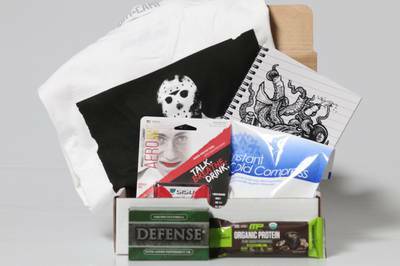 Sign up by the 19th to get this month's box! Jiu-Jitsu Inspired T-shirts every month! Always worth double the cost, VIP option also! My husband loves this box!!! Great items and LOVE the t-shirts!! I’ve had around 6 box subscriptions I’ve tried and I can say I finally found a good one. The products were all top notch and very useful. The shirt I got was very unique. I finally found a box I like. Would definitely recommend. Ever since the magazine took over every box has been amazing! Well worth the money.